"World class experience. Amazing, caring staff." "Dr. Adams is an amazing doctor." "Dr. Zolzer is truly fantastic." "He doesn't rush you and listens to your concerns..."
"I appreciate the direct and honest communication by the whole staff." "...Choosing Lakeshore is the best thing we did after we came to Mooresville." "Love all the doctors here!" "I love this place! The staff is awesome and always eager to help. Dr. Adams rocks!!" "Such a great staff and doctors." Lakeshore Women's Specialists, PC, is a full-service OB-GYN practice, specializing in all aspects of women's health and wellness and serving patients from Mooresville, Huntersville, Davidson and Lake Norman, North Carolina. Todd J. Adams, MD, MPH, FACOG and James G. Zolzer, MD, FACOG, along with the newest member of their team, Physician Assistant Melissa Ranallo, are able to provide the highest quality of health care possible for women of all ages. 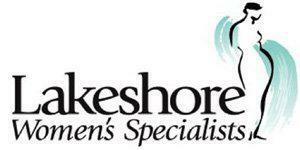 As a state of the art OB-GYN practice, Lakeshore Women's Specialists, PC, provides many services to its patients. Services include pregnancy care, ultrasounds, incontinence treatment, women’s primary care, minimally invasive surgery and other procedures that are vital to a woman's physical and emotional health. The team provides a full range of in-office procedures including Novasure and Minerva endometrial ablation, Essure tubal sterilization, hysteroscopy, colposcopy, and labiaplasty. Lakeshore Women’s Specialists also has a low Cesarean delivery rate, taking every measure to reduce risk with unnecessary surgery for mothers and their babies. Outside of the office, Dr. Adams and Dr. Zolzer are expert vaginal and laparoscopic surgeons. Dr. Zolzer has accreditation from the American Institute of Minimally Invasive Surgery. Both doctors perform minimally invasive surgery for women at Lake Norman Regional Medical Center. The team of physicians and mid-level providers is able to use a variety of tools and techniques to help develop an accurate diagnosis as well as develop the best possible treatment plan for each patient. Lakeshore Women’s Specialists also has a sister practice at the same location, Lakeshore Renewal, Aesthetics and Weight Loss, which provides weight loss treatment and aesthetic procedures for men and women in the Mooresville, NC, area. For more information on Lakeshore Renewal, click here. 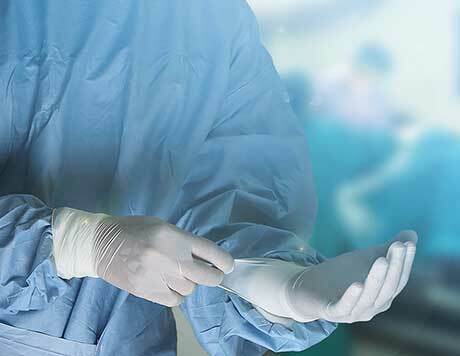 The doctors at Lakeshore Women's Specialists also specialize in bladder surgery. Leakage and weakened muscle mobility are common with age and after giving birth. Let your trusted team of doctors help you with urinary incontinence. We accept most insurance plans, with co-payments due at the time service is rendered. Please check with your insurance plan to obtain a list of participating providers. We will be more than happy to discuss any insurance questions you may have. "I totally absolutely love Lakeshore Women's Specialist.... They went above and beyond for me." "Dr. Zolzer was AWESOME. First time ever being here and I was 100% comfortable. The staff was super friendly and helpful. The office was very well kept as well." "There aren't enough stars for Todd Adams and his staff. Nevermind the lovely offices and the ease of making appointments, Todd is everything you want in a doctor." "I would highly recommend Dr. Adams as a physician, a surgeon, and a caring human being." "I couldn't have asked for a better experience!... I am so grateful I found Lakeshore!!" "Love all the doctors here! Dr. Zolzer delivered both my babies and I wouldn't change a thing and couldn't imagine it any other way." "Dr. Adams is the best. I loved my visit with him."